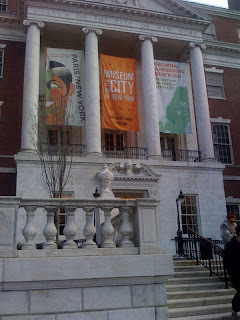 Museum of the City of New York on Fifth Avenue at 103rd Street (in East Harlem) is a museum of all things New York, past, present, and future. 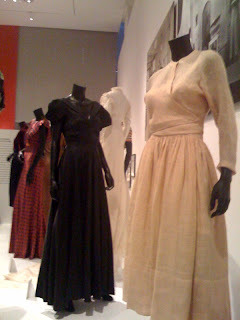 We wanted to see their Paris/New York: Design Fashion Culture 1925 - 1940 exhibition. 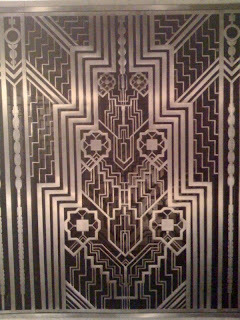 We definitely have a gravitation toward Art Deco design. I loved this copper toned silk and lame dress made by Hattie Carnegie in 1937. 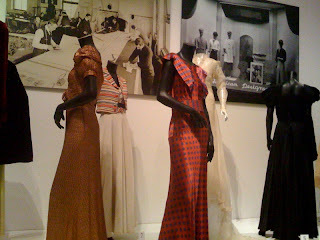 The silk polka dot dress in the center of this photo was also beautiful (better if it were cream and black or green and blue). I'm usually not a fan of linen but I want this 1940 linen dress made by Valentina. Valentina is another New York success story - arriving to NYC as a young immigrant than eventually clothing the great screen sirens like Katherine Hepburn. The clothing and women in that era were so refined, classic, and elegant. The actresses of my generation today lack that natural charisma and classiness of ladies like Katherine and Audrey Hepburn. 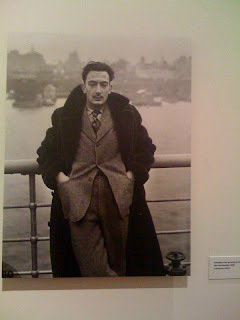 Photograph of Dali in New York City. 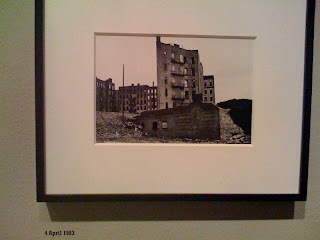 We also loved the museum's exhibition Broken Glass: Photographs of the South Bronx by Ray Mortenson. 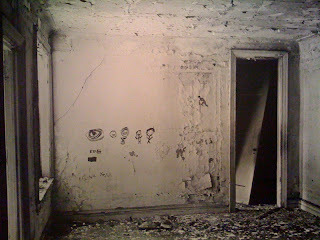 Mortenson wanted to reveal the aftermath of the urban economic crisis of the 1970s with his black and white photographs of the many eerily abandoned buildings in the South Bronx in the early 1980s. 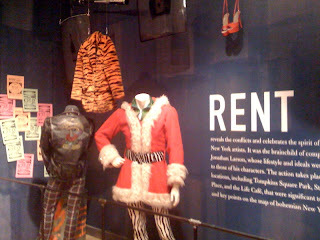 The Museum's Theater collection includes costumes of notable New York productions like Rent and A Chorus Line (one of my favorite movies as a child - yes, I was a weird child that loved anything that combined song and dance like Fame, Pirates of Penzance, Top Hat and Thriller). 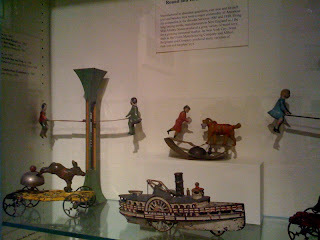 The Museum also has an antique toy collection showing the social history of childhood in New York City like this great antique rowboat toy. 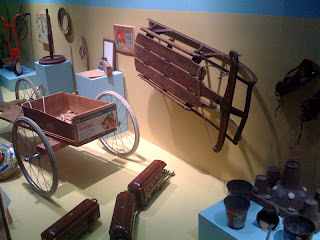 Sleds always remind me of Rosebud! 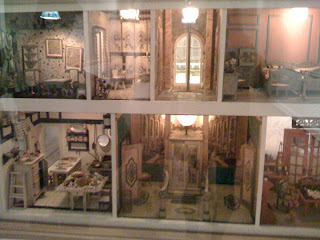 The Museum also has a huge collection of intricate doll houses dating back to the 1700s. 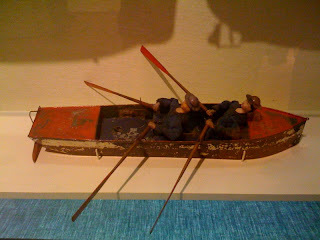 Some of the small figurines with the painted black faces doing house work showed the sign of the crazy times. It's a relatively small museum that didn't have many people when we went. We also got to catch an hour of a free piano concert. 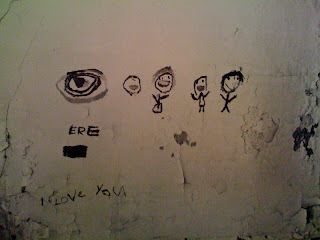 The Museum's a bit out of the way and we had to walk through the projects to get here, but it was worth one visit. We probably wouldn't go back though.